My grandson starts Pre-k this coming Monday. What a HAPPY and EXCITING day for him, but a SAD day for me. He is growing up so fast. What a cute school house card!! I'm sure he will love it. Very nice school shape card. I love everything about it!! This is so Cute!! !Super Cute Card! !I love it! !Especially the Crayons Box!He is going to love it!! 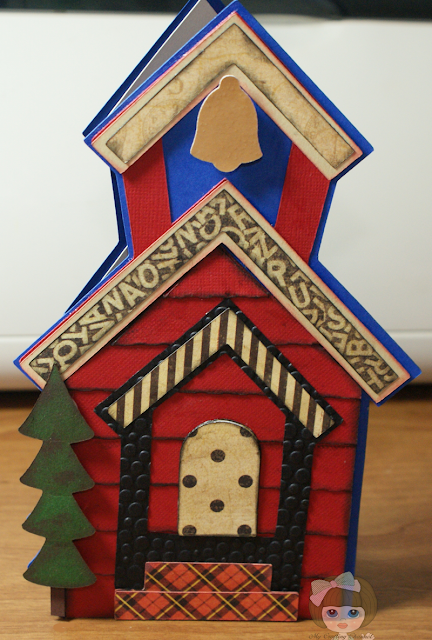 WOw what a cracker of a card.Love the shape and all the details! Such a cute card, lovely design and colours, he will be so thrilled. 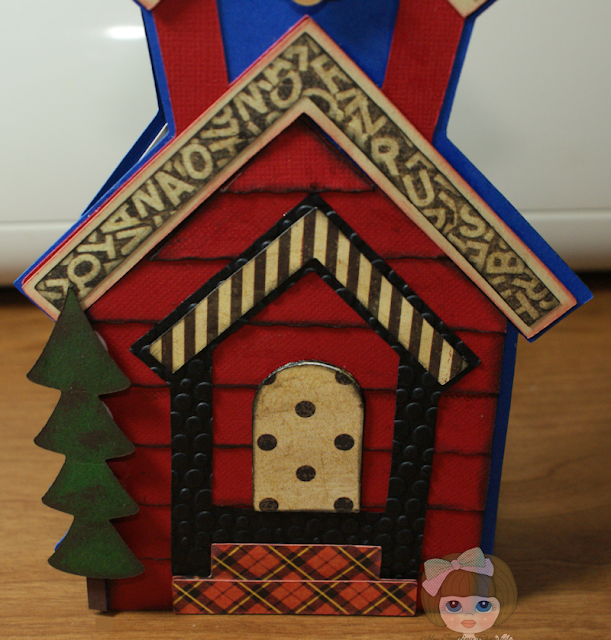 This is fabulous Nana I like the house design the tree and the box of crayons inside. 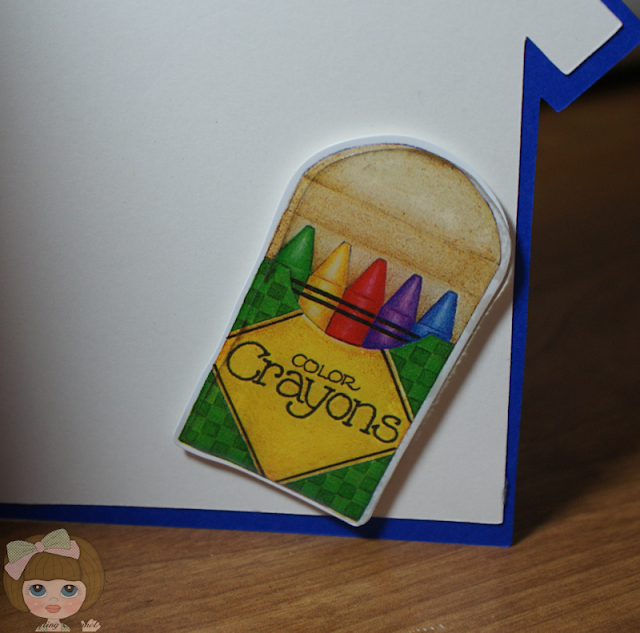 This is super cute Love the shape and the box of crayons inside looks real enough to color with. I LOVE this card and all of the details you put into it!!! Awesome job!!! The alphabet on the one part of the roof is too cute! What a super cute Shape card. Love it. beautiful colors you used. I'm with my little one started kindergarten but luckily no one cried, he came home and he was still in a good mood. 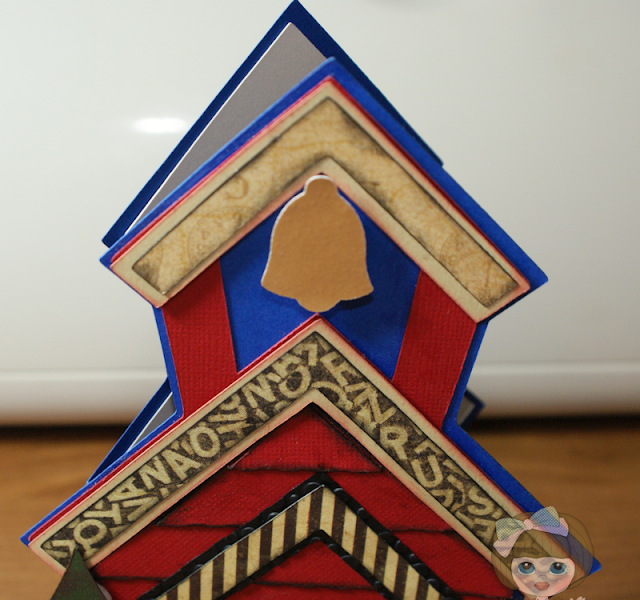 I like your school house card very cute and detail. Thanks for sharing, God bless. What an AWESOME card!! Love the colors, the great papers you used and the fun school shaped card! Thanks so much for sharing and happy Friday!! Your grandson is going to love Pre-K. They learn so much and kids absorb everything. He is going to have so much to share with you every time you see him. This is a great shape card! I love the old fashion school house look. Oh my goodness, Nana! Your card is totally adorable! Love all of the fun Details! LOVE~LOVE~LOVE! oh this is fabulous! he's going to love it! wonderful design & fun details, I love it!! Nana, this is super darling. I can't wait to get the opportunity to start playing with SVG's! Love those crayons! 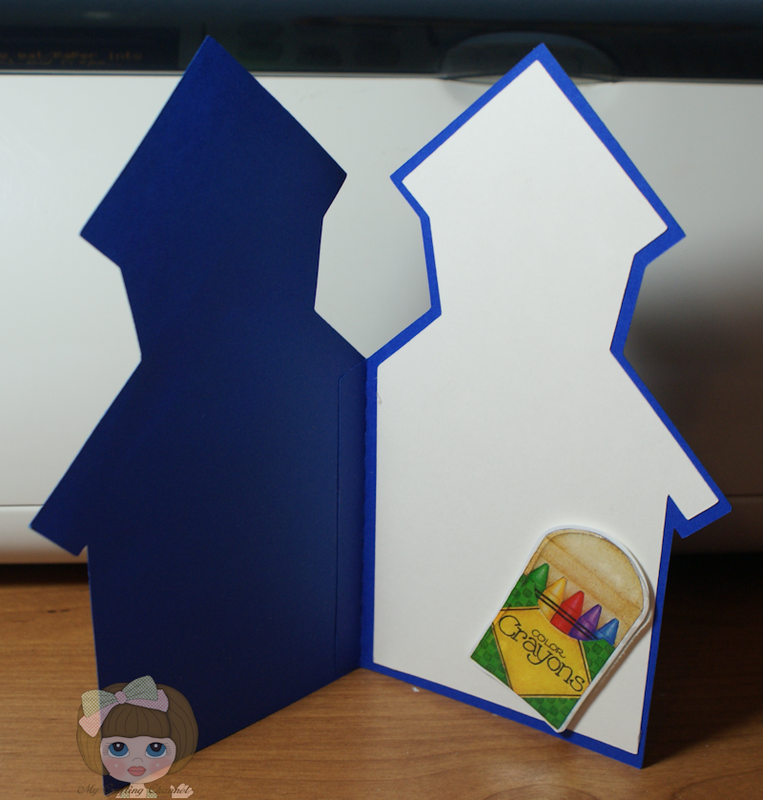 What a FUN shaped card:) Super cute Nana! Please reply back as I'm wanting to create my own website and would love to learn where you got this from or what the theme is called. Thanks! Greetings! I've been reading your site for a while now and finally got the courage to go ahead and give you a shout out from Kingwood Texas! Just wanted to say keep up the fantastic job!